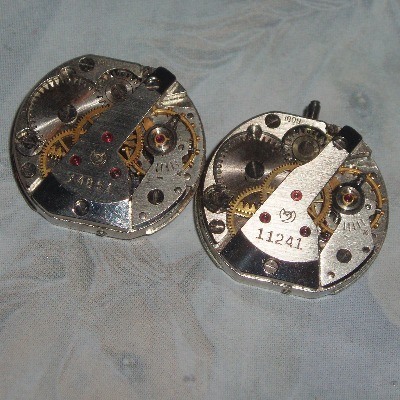 Made with a pair of recycled 18mm almost round vintage ladies Watch Movements. These movements measure 18mm in across. Please allow 10 working days for dispatch as each pair of cufflinks are handmade to order.